Wall Homes For Sale – Homes in Wall. Homes in the starter home price range are available in Wall. However, you can get a luxury home and spend in excess of $1 Million. Or you can find homes anywhere in between. Additionally, there are condos complexes and active adult communities located in Wall. In 2010, the Census reported that the township’s population was 26,164 people. At that time, there were 10,051 households, and their median household income was reported to be $89,278. Wall is home to Allaire State Park. At one time, The Historic Village at Allaire was a self-sufficient, iron-producing, factory town. Included were carpentry shops, a blacksmith shop, a bakery, and a boarding house. At the iron works was a blast furnace and mills to finish iron products. Also, there was a school, a church, a general store with a post office. Additionally there were workers’ homes. In fact, the iron was used to produce steam engines parts. As a community, The Howell Iron Works speaks to the experiences of the economic and social changes of those who experienced early Industrial America. In addition to the bike trails and hiking which are available, a steam operated train runs through the park. Today the Historic Village at Allaire is an interactive museum where visitors to Allaire can experience history directly through hands-on activities. About 4,000 students attend the Wall Township Public Schools, which educates students in kindergarten through twelfth grade. 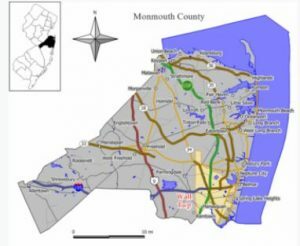 As an option, when students from Wall homes reach high school they can apply to one of the five high schools in the Monmouth County Vocational School District. Specialized courses are available in fields such as computer science, and biotechnology. Also courses in the medical and science fields are available, among others. There are also numerous private schools available nearby. Call 732-598-7700 today to see Wall homes for sale or homes in Wall.